Constructed from pure solid brass, flawlessly detailed, and beautifully finished. Perfect way to unload weighed down pockets after your busy day. Heavy in weight (18 ounces) with slip-resistant glides on the bottom to protect furniture. 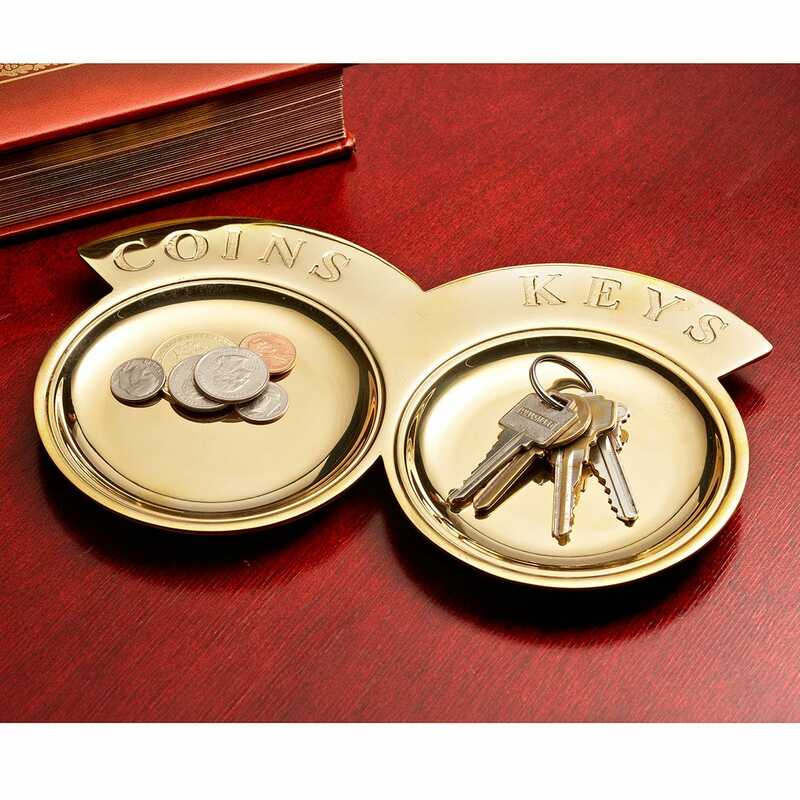 Loose change and keys are a problem no more. Measures approximately 9 inches by 5 inches.